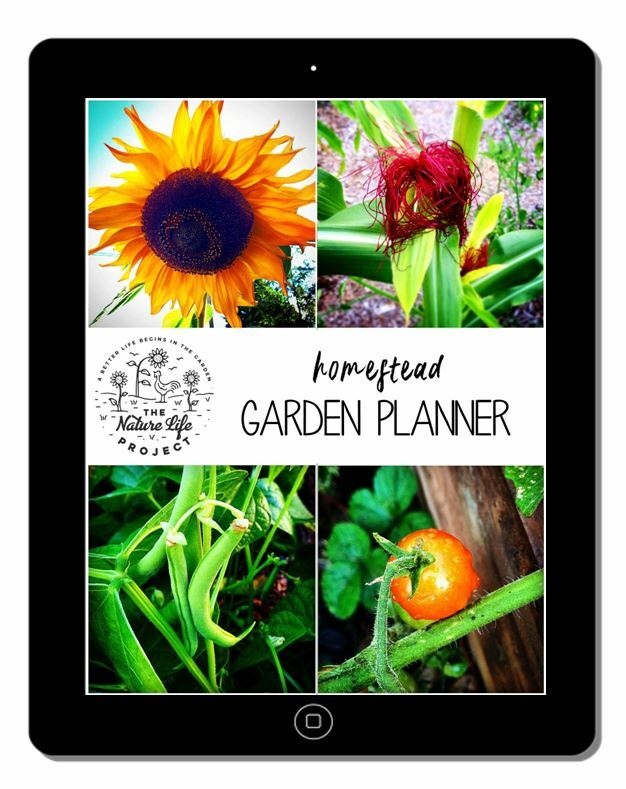 Subscribe to The Nature Life Project and receive the Homestead Garden Planner as your free welcome gift! The planner is 117 pages of planning worksheets, design pages, and calendars. Use the calendar pages as a garden journal so you can go back year after year to learn from your previous gardens. It will help to keep you organized and on track to grow your most delicious garden yet! Know your garden. 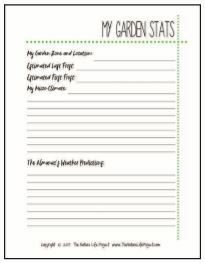 This sheet is where you jot down your garden zone and frost dates. It also gives you space to think about your garden’s microclimate and how this affects where and when you may plant different crops. I have found it is handy to look up the Almanac’s weather predictions for the upcoming growing season. They are right a majority of the time, and their predictions guide my decisions on which crops to plant. For example, more rain and humidity than normal would mean I look for crops resistant to powdery mildew. Write down what you want to can, freeze, dry and store and use this list to work backwards to plan your garden. Want a lot of salsa? Better plant more tomatoes, onions and peppers. 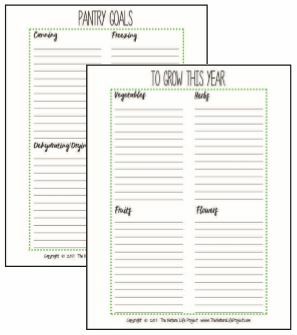 Use your Pantry Goals sheet to decide which plants you will grow this year and write them down on the To Grow This Year sheet. 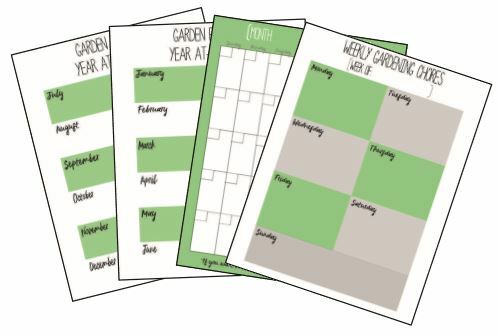 Using the To Grow This Year sheet, draw out your garden design. 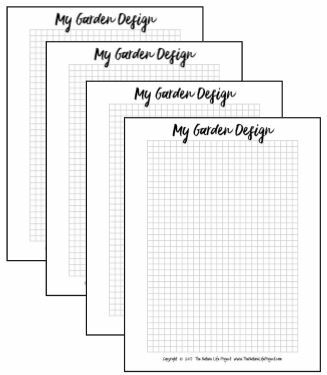 I’ve included 4 garden design sheets so that you can update your garden as it evolves throughout the seasons. When you harvest one crop, you’ll want to plant another in its place. 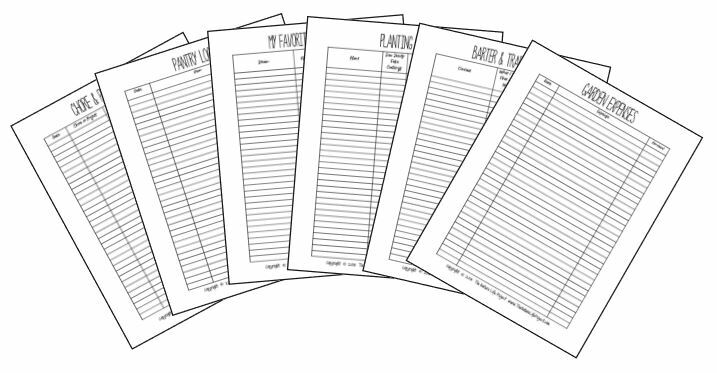 These sheets can help you plan each rotation. 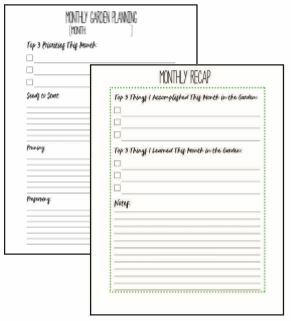 At the beginning of each month, take the time to write down the tasks that will need to be done on the Monthly Garden Planning sheet. Then prioritize your top three to keep you focused. Take these tasks and plug them into your weekly calendar. If you do a little bit every day, it will feel like much less work. It is always good practice to take the time to reflect on your goals. The Monthly Recap sheet guides you to celebrate your top three successes, and learn from three of your mistakes. It also gives you room for any other notes you may have. If you improve a little bit every month, you will be a much better gardener before you know it! The Year-At-A-Glance Calendar allows you to look at the big picture and see important dates and events quickly. The Monthly Calendars are where you can track weather and temperatures and see your garden chore deadlines on one page. The Weekly Calendars are the perfect place to jot down your daily gardening chores and projects to help keep you on task. This is also the perfect place to keep your garden journal, which can be your greatest resource in the following years. Track your garden chores and projects. By having this list handy, you’ll be able to look back and plug your regular chores and projects into next year’s calendar. Keep track of each plants’ sowing, transplanting, pruning and harvest dates. You’ll be able to refer to this list next year so you can have the best timing and learn from your failures and successes. We have very limited options for fruits and vegetables at the grocery store. There are hundreds of different varieties we can choose from when we order our seeds. This tracking sheet helps us to find our favorite strains so that we make sure to grow them again and again. The pantry log helps you track the food you preserve for your family. Knowing these numbers will help you plan next year’s garden. Ran out of pickles in only a few months? Next year, you should probably plant more cucumbers. Most homesteaders will tell you it is hard to be 100% self-sufficient. It would be too much work for most people to take on themselves. One way to make it easier on yourself is to create a barter and trade network with your friends, family and neighbors. This tracking sheet keeps your contacts in one handy place for the next time you run out of homemade soap or wine. Gardening can be expensive or free, depending on your methods. Either way, it’s always a good idea of track your expenses and see where you can cut back or find better deals next year.  My goal at The Nature Life Project is to give you the tools and resources you need to make gardening as easy and successful as possible. I want gardening to be a joy, not a pain. After you download the planner, simply print it out, then put it together with either a three-hole punch and binder, or have a printer spiral bind it for about $5. Sign up below and you’ll receive the Homestead Garden Planner in your inbox shortly!